On 19 October 2013, three NATO ships F-101 ESPS Alvaro De Bazan, F-219 FGS Sachsen and F-246 TCG Salihreis assigned to Standing NATO Maritime Group 2 (SNMG2) arrived in Casablanca for a scheduled port visit. During the visit, the NATO forces will exercise together with the Moroccan Navy, conducting personnel exchange visits in port. The port visit will also mark a welcome break for the crew of SNMG2, which has been operating at a very high tempo during the past few weeks. In addition to supporting the counter-terrorism Operation ACTIVE ENDEAVOUR (OAE), the Group has just completed participation in the major maritime exercise BRILLIANT MARINER, a multinational force of 21 ships and submarines that worked together to ‘stress test’ the crisis reaction capabilities of the NATO Response Force (NRF). 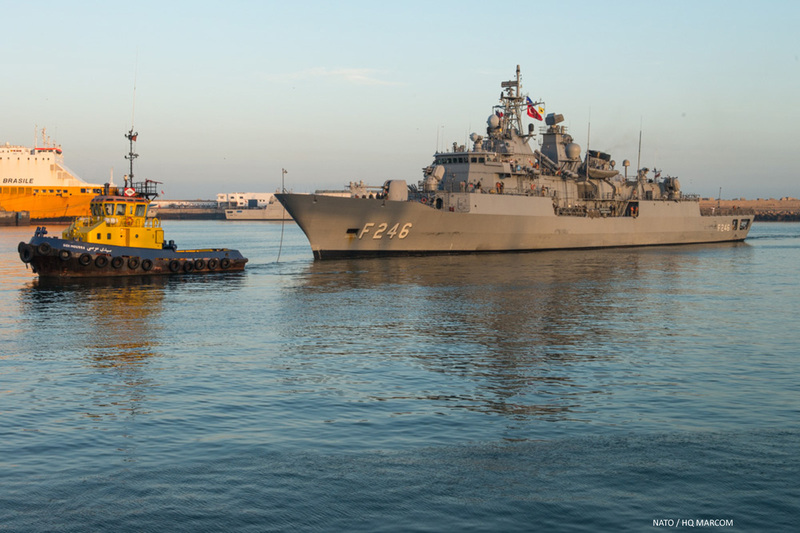 Upon departing Casablanca, SNMG2 will return to the Mediterranean to resume support to OAE, actively deterring threats to maritime security and trade.